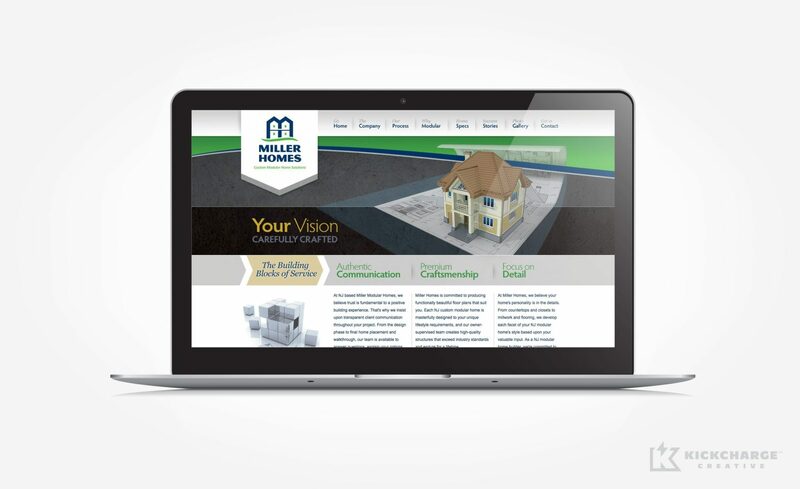 Building a custom brand for a custom home builder. 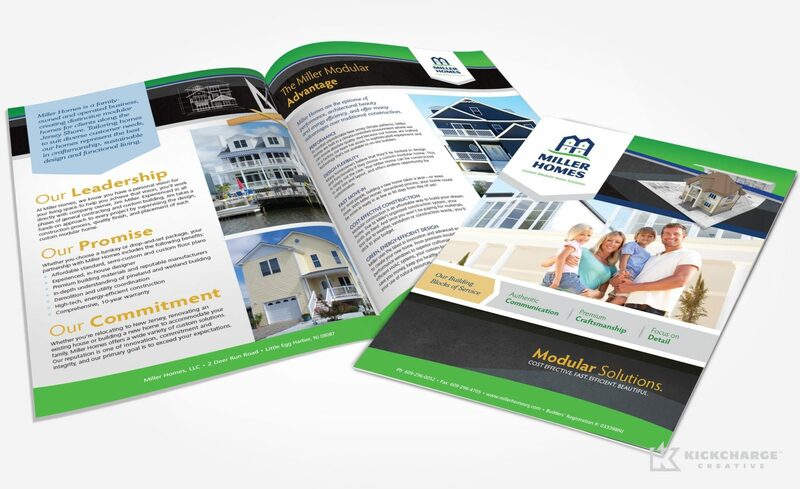 When Little Egg Harbor, NJ-based Miller Homes wanted to grow their business and develop better marketing tools to showcase to new home buyers, they choose the team at KickCharge® Creative to step up the challenge. 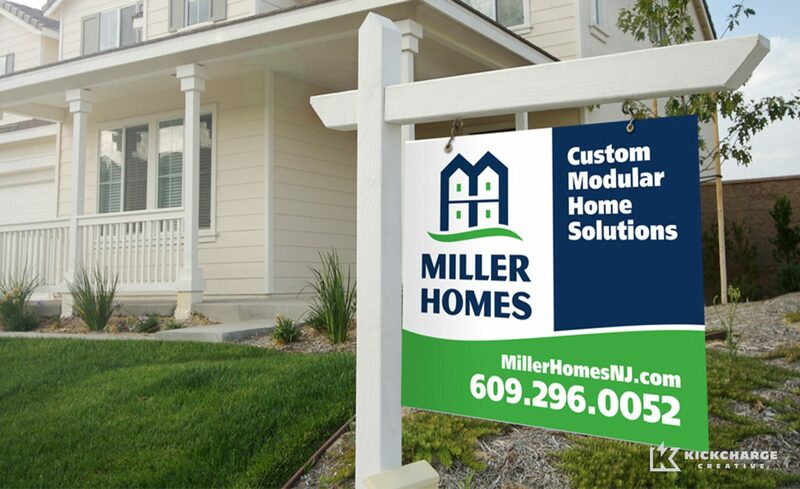 We first started with their logo design and branding, carefully constructing an icon that has an M and H in it, but also represents the modular nature of their home construction technique. Much thought went into the development of the branding, and how that brand would then translate into other mediums. Once we had the branding completed, we designed the stationery, vehicle advertising, site signage, uniforms, and web design to further tie all the elements together. We love how all the elements are cohesive, and the presentation speaks to their professionalism. Their vehicle design is also a great example of how a simple design and branding can be so much more impactful than a multi-color wrap that is hard to read, and doesn’t reinforce the brand messaging. “I wanted to express the gratitude I have for Dan and the KickCharge Creative team. They were able to take our branding, logo and website and give it a modern, innovative look that is aligned with who we are as a company. Now, we have an image that represents how we perceive ourselves and how our clients perceive us. First, the team revamped our branding and created a new logo that not only conveys professionalism but credibility. We are finally proud of the look/feel we are emitting to the public as it matches the level of service we provide our clients. There no longer is a disconnect. 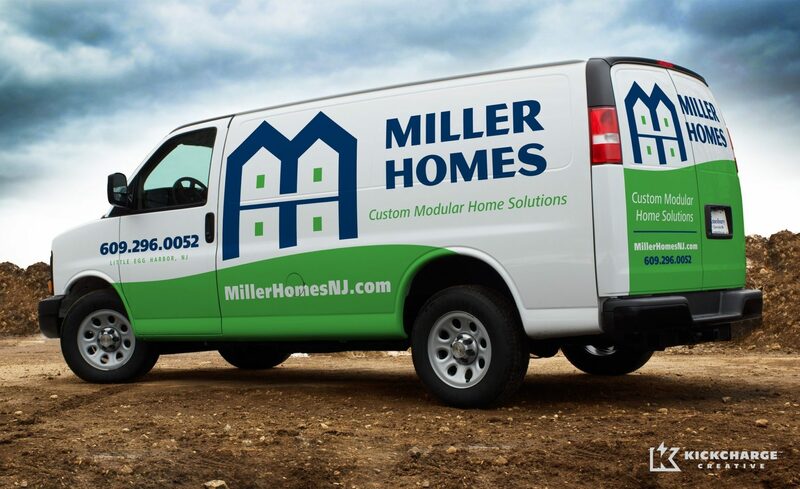 Second, they took the logo and branding and brought it to life through our new website and vehicle advertising. The positive feedback we have received from our employees and clients have been through the roof. It is a true testament of the success that KickCharge Creative garners; and speaks volumes about the expertise and level of professionalism that they offer.